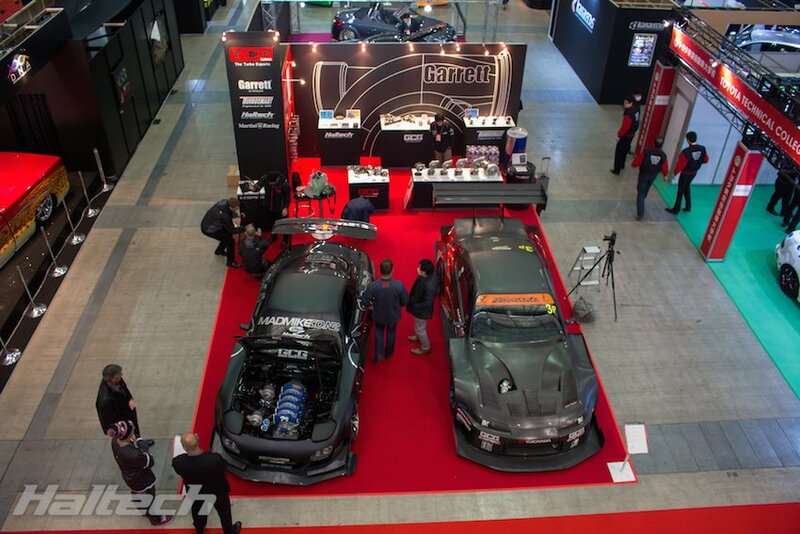 Each and every year, thousands of automotive lovers descend upon the Makuhari Messe in down-town Tokyo, Japan for the legendary Tokyo Auto Salon. 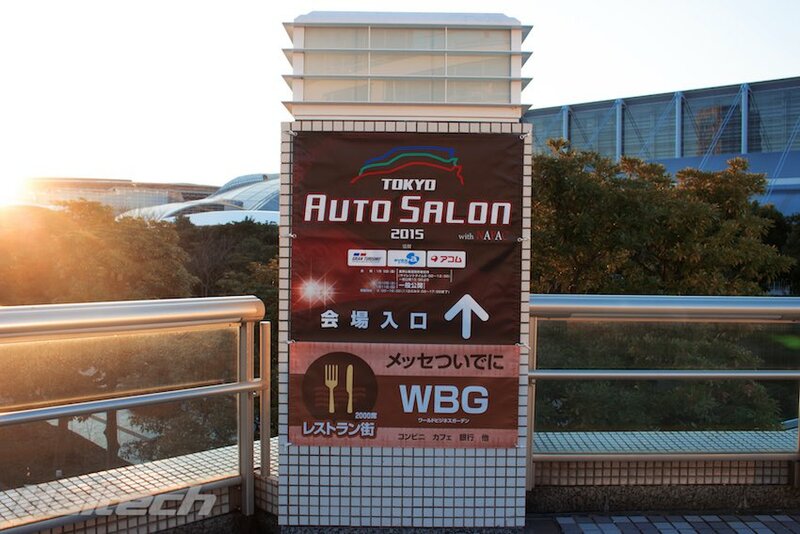 This year’s event saw record crowds drawing in excess of 300,000 people over 3 days. 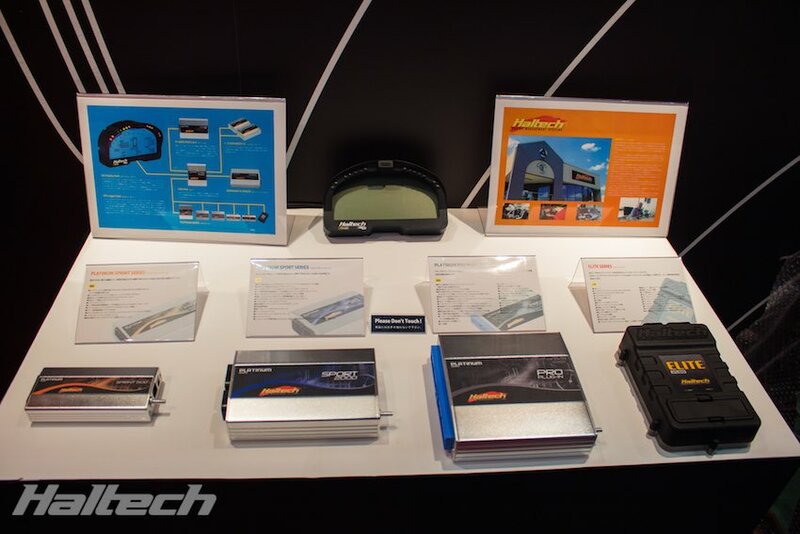 Haltech was invited to exhibit the new Elite Series ECU along with the much-loved Platinum Series range, as part of the GCG Turbos Japan booth. 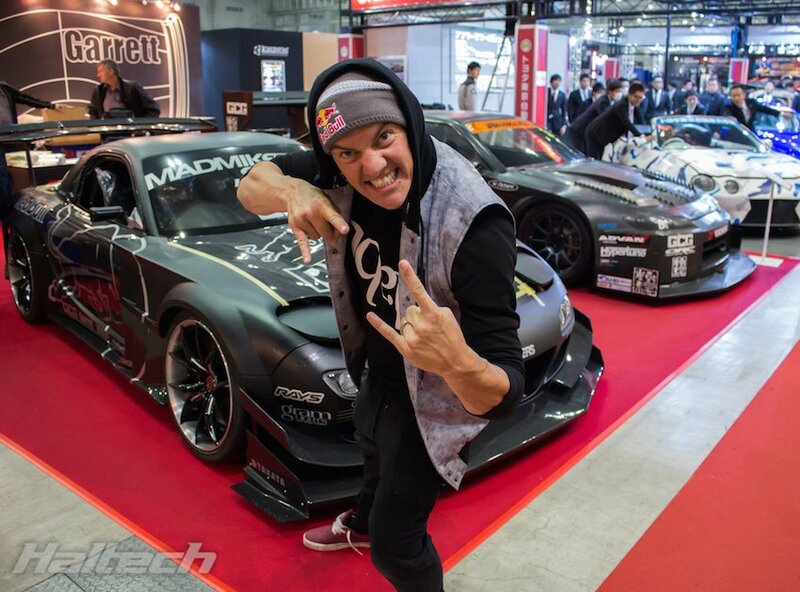 Without a doubt, one of the biggest draw cards of the show was ‘Mad’ Mike Whiddett’ brand new, TCP Magic built, Mazda RX7 ‘HUMBUL’ drift car. 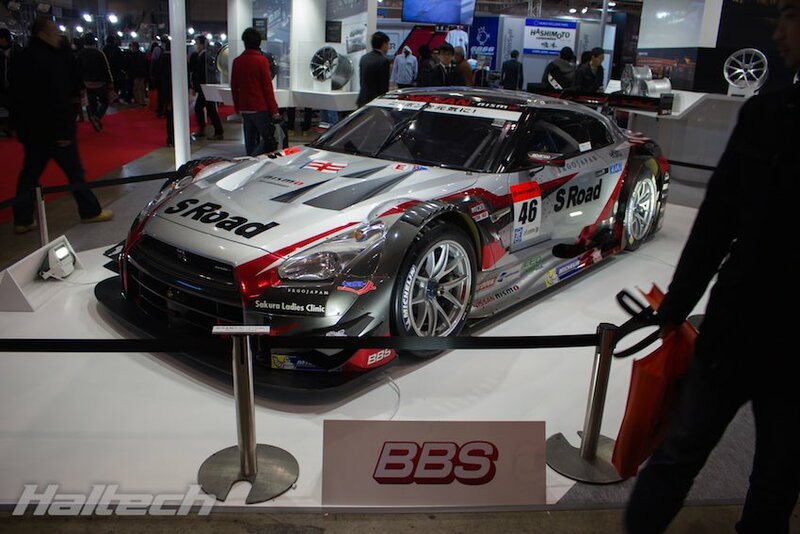 On display for the very first time to the public, this insane 4 Rotor ‘R26B’ twin-turbo is built with the aim of extracting over 1200hp from the engine. 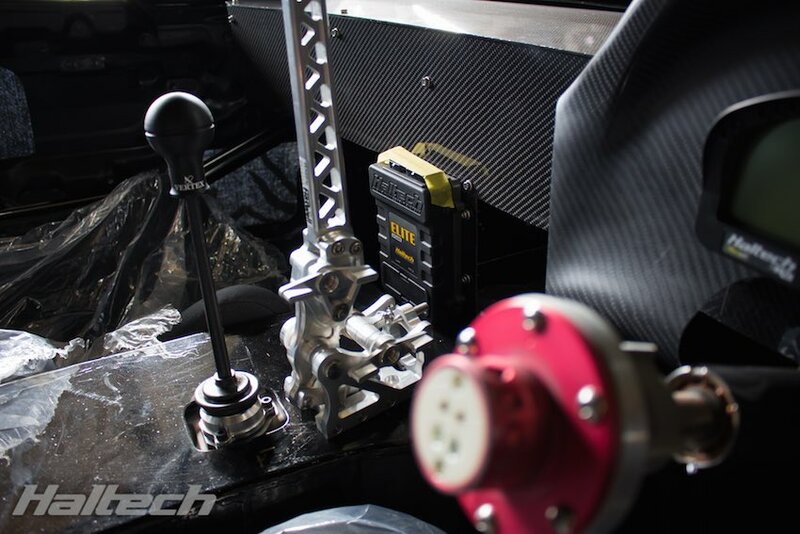 The car will be powered by the Haltech Elite 2500. At this stage it is still awaiting some final fabrication so look out for an in-depth look at this car on our website in the near future. 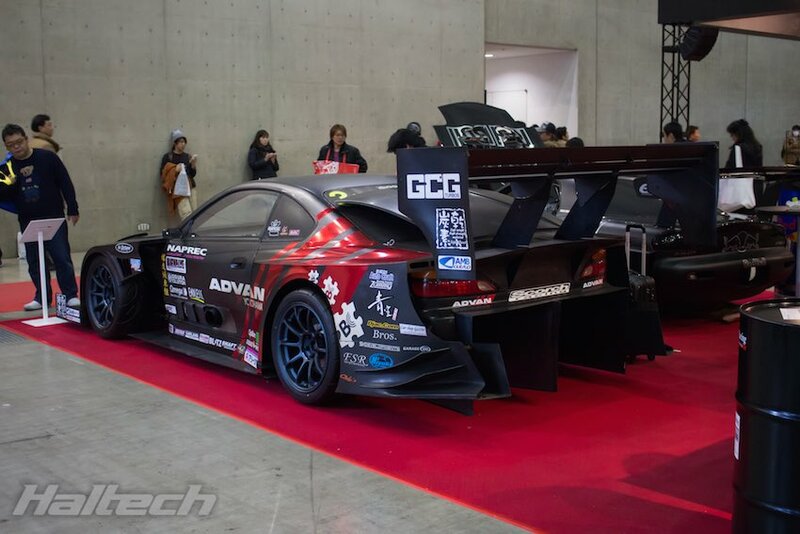 Also featured on the GCG/Haltech stand was Under Suzuki’s time attack Scorch Racing Nissan S15. The attention to detail in the aero work on this car is second to none. 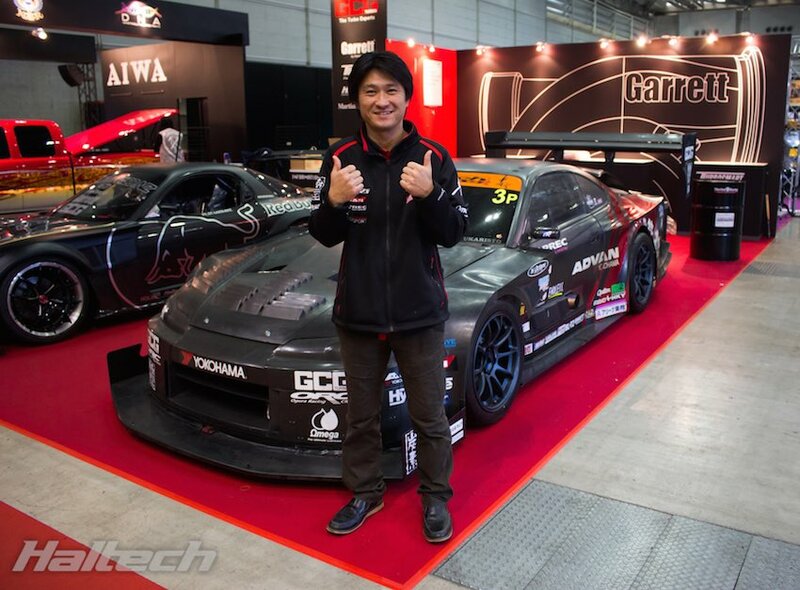 Under currently holds the Tsukuba lap record for a tin-top vehicle and was a runner-up at the 2014 World Time Attack Challenge. Amazing to think what he has achieved with what is essentially a relatively simple 4 cylinder, rear wheel drive chassis. Here’s some photos of things we found interesting at the show. 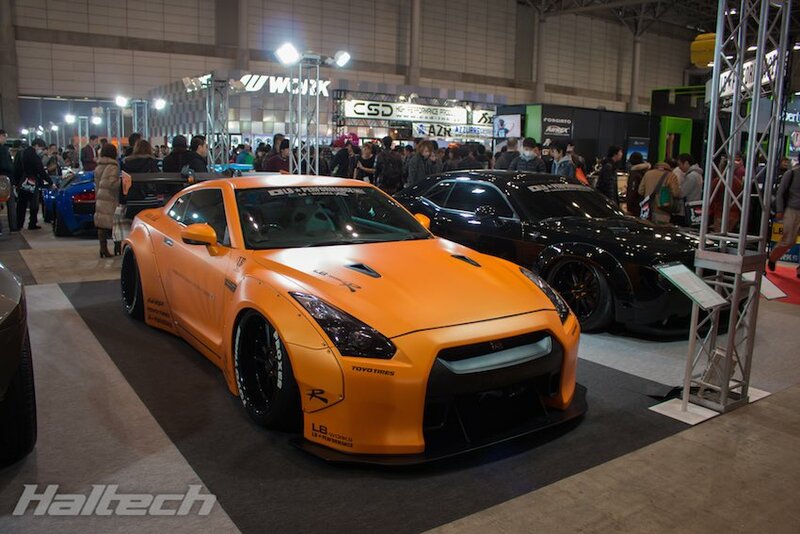 We even spent some time out in the car park to check out some of the true street cars of Japan. 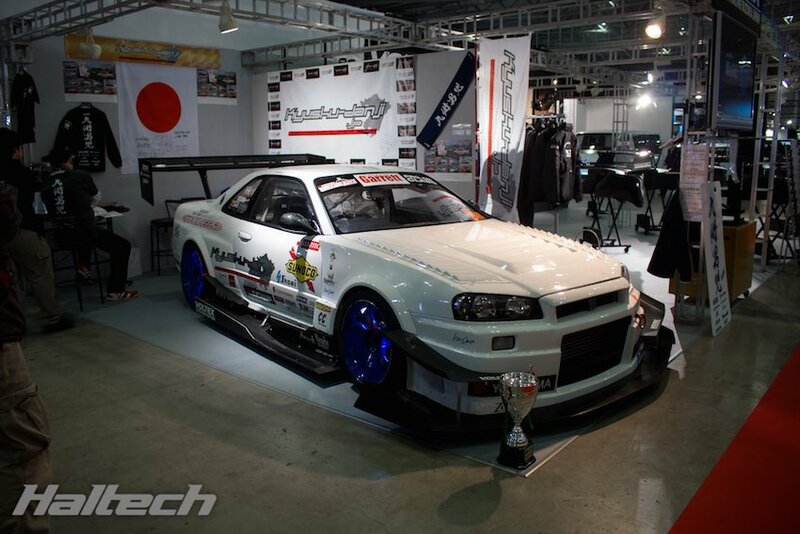 The Kyushu Danji R34 GTR placed 3rd in the 2014 WTAC Pro-Am Class, it was great seeing it on home soil. 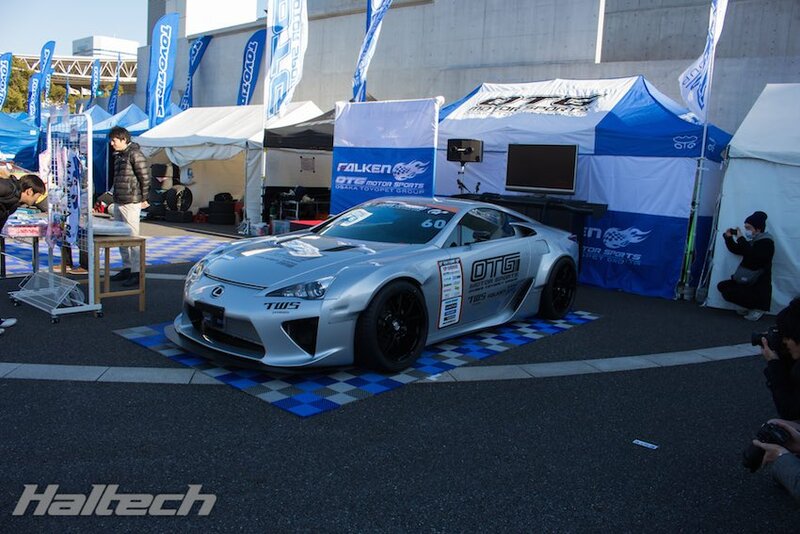 A Lexus LFA drift car – is this the definition of insane? 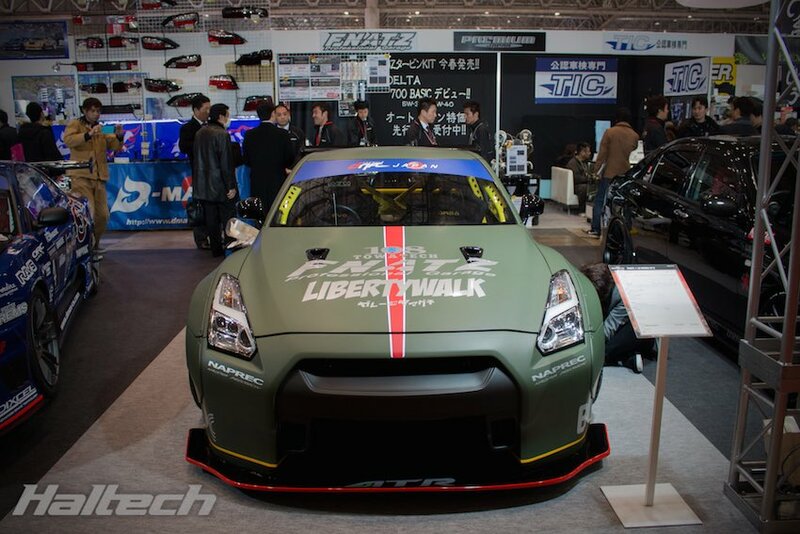 Japan continues to push the boundaries of body styling and Liberty Walk build are currently the hottest things in town. 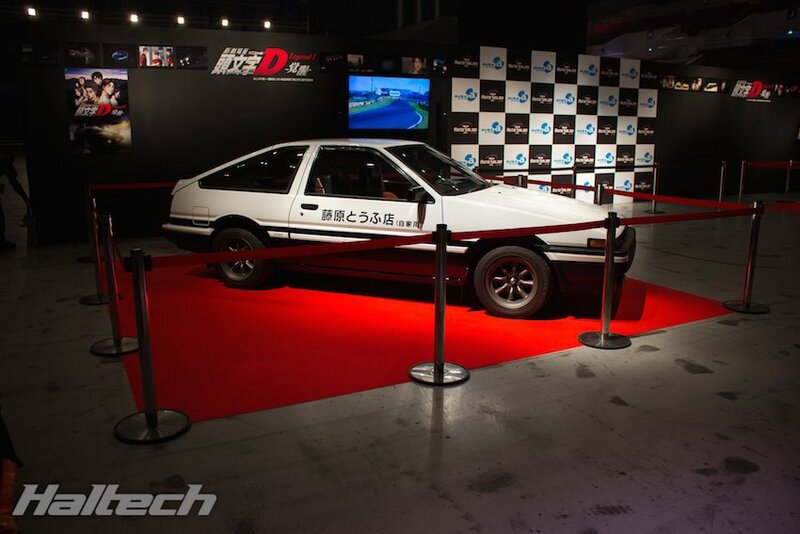 Here’s a real-life replica of Takumi’s Initial Drift AE86. It was perfect, down to every little detail inside and out. 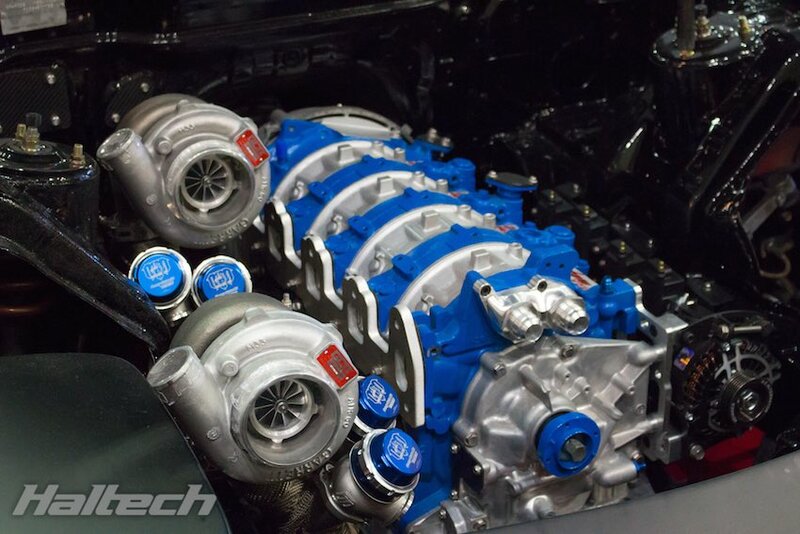 Top Secret V12 Supra anyone? 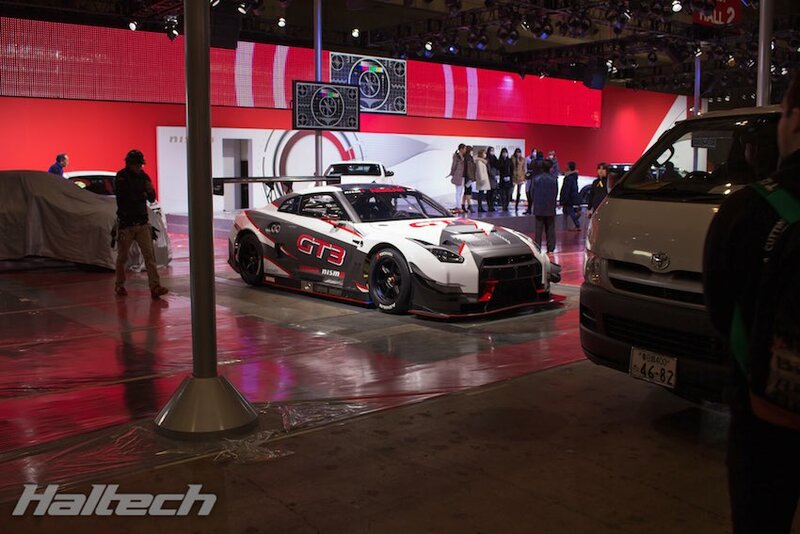 While there is a huge and diverse range of show cars inside the halls, out in the exhibition car park is where you see the true Japanese street car world. 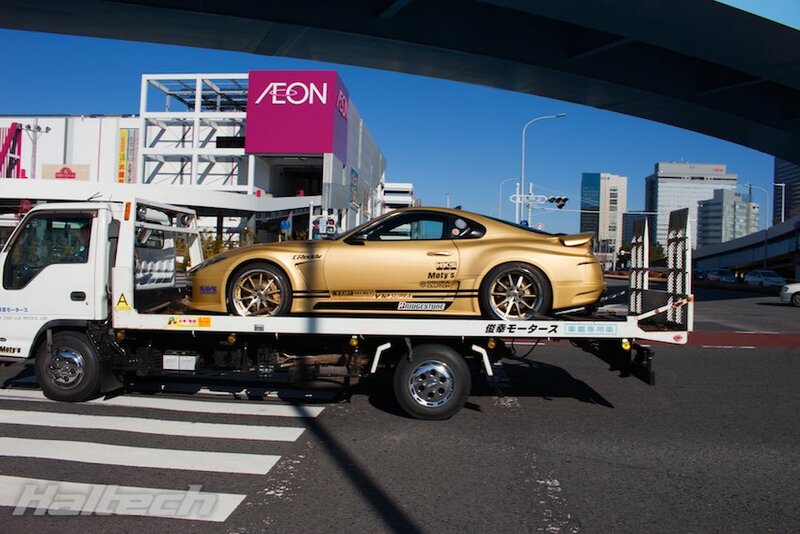 There is no one single ‘style’ of car in Japan, and it is seen as admirable to have something you have created that is different to anyone else.